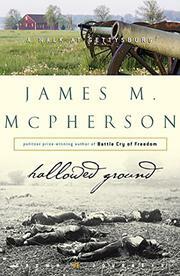 Celebrated Civil War historian McPherson (Fields of Fury, 2002, etc.) holds our hands, points our heads, and evokes awe-ful and sanguinary images of July 1863 in Gettysburg, Pennsylvania. A leisurely walk through a former inferno with a most eloquent Virgil.